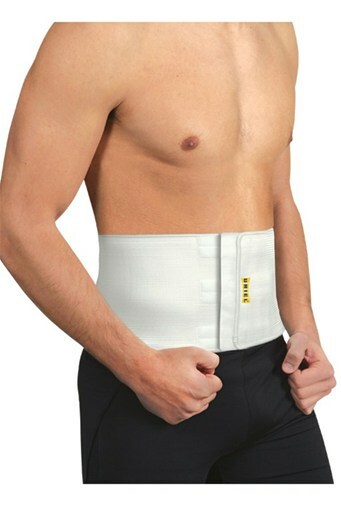 This Abdominal Belt is ideal for post-natal and post-surgical management. Provides compression and support for weak and strained abdominal muscles resulting from injury, exhaustion, inactivity or surgeries including cesarean, liposuction, or hysterectomy. Promotes good back posture and can also be used as a waist trimmer. Place the belt around your waist as shown in the picture, position in the desired height and fasten the Velcro fasteners in a firm yet comfortable fit.